It's always fun to revisit a favorite tool. One of mine is Wordle. This week I used it to create a fun, creative, and inexpensive invitation for my son's birthday party and here I used it for a little self-reflecting. I just plugged in the url to my blog and Wordle created this lovely word cloud, identifying the words I use most commonly in recent posts. This is my blog's self-portrait (at least for this week!). Analyze a transcript of politician's speech. What do the word patterns tell you about his/her message and word choice? Analyze a self-written essay to identify the words you're using the most or over-using. Is this a tool that could be used to diversify word choice? Create a public Google doc. Type an open-ended question at the top; such as, "Share a word or phrase that demonstrates what 'democracy' means to you." After all students in your class have responded, copy the text of the Google doc and paste it into Wordle. Bam! 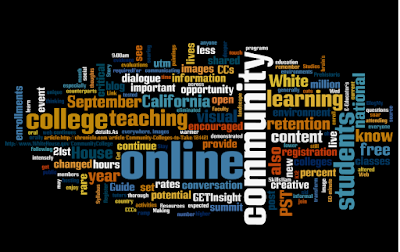 Instant collaborative word cloud, demonstrating diverse opinions and perspectives. Have your students/program/school identify their ethnicity and create a Wordle that conveys the diverse demographics of your group. This could be a great graphic for a "People and Cultures Day/Week" event. On a computer, have each student type a brief paragraph about what they've learned at the end of each week. Each time they add a new paragraph, type it above the previous one in the same document (like a blog -- or better yet, make it a blog!). At a significant marking point (midterm, for example), have each student copy all the text and paste it into Wordle. Break into small groups to analyze similarities and differences in the word hierarchies. Wordle uses size to convey 'hierarchy' between words. Identify other examples of how size communicates importance in our culture. Create a Wordle self-portrait and share it on your website or blog at the start of a term to introduce yourself to your new students. Have students take notes on a chapter, article, or movie. Paste the notes into Wordle and reflect on the most important ideas or key terms each student has taken away from the content. 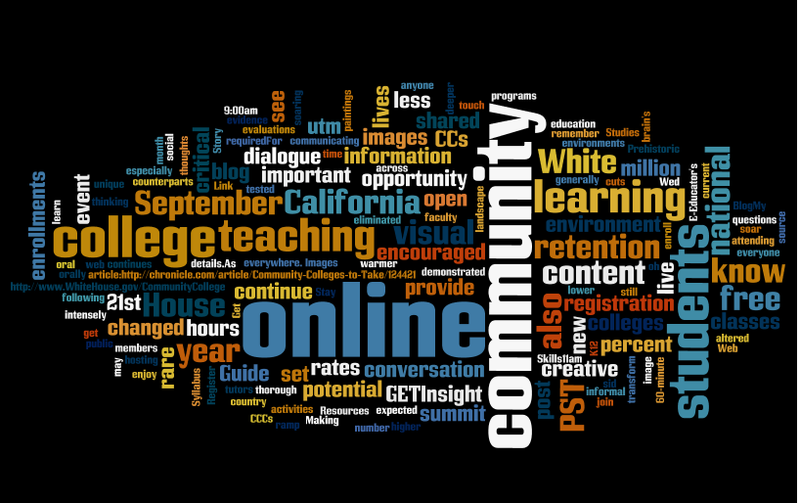 Create a Wordle to introduce a new learning unit. Use key terms, names of key figures, concepts, etc. Use it for formative feedback throughout a class. At the end of a learning unit, welcome students to reflect on the success of the unit. Have them share 1) what worked well 2) what didn't work well. Collect the feedback, make a Wordle for each category, and discuss each of them with the class. Extremely useful and well developed tips.